After 14 years, I finally got a chance to come back and visit the Philippines for the first time. A lot of mixed emotions were involved as I was excited, afraid and nervous at the same time. But as soon as I saw my family from the Philippines, all of this went away and all our childhood memories were relived. 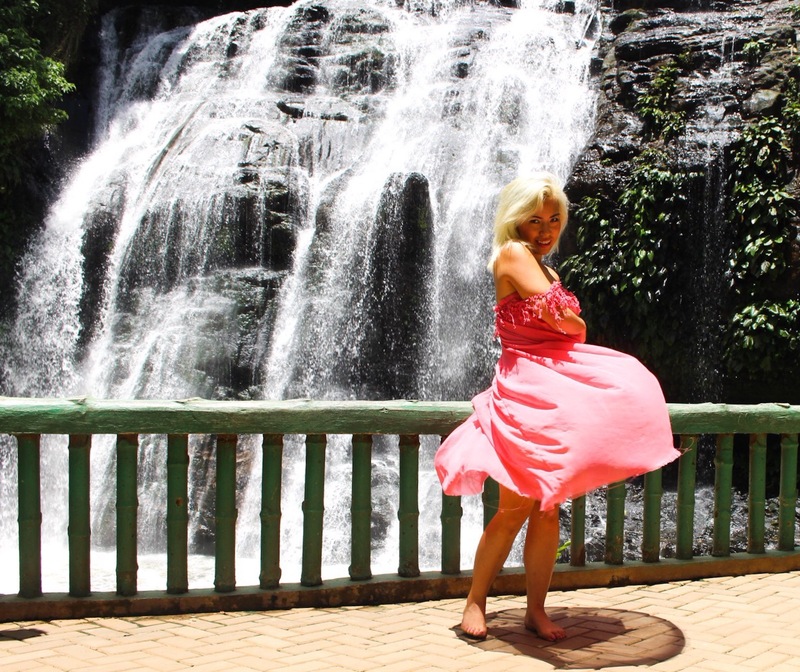 I made a few outfits specifically for my traveling adventures and for this photoshoot, I wore an enchanted, flowy, off shoulder dress at Hinulugang Taktak – it is found in Antipolo City, Rizal where I spent a huge part of my childhood years growing up. Although, we are not allowed to swim because the water has is polluted, this gorgeous fall has become a national park where people hold concerts, weddings and other ceremonies here.What do you think of this outfit? Have you traveled anywhere this summer?